I was not especially enamoured by the first Vermintide. Fatshark's chaotic hack 'n' slash set in the Warhammer universe was slavishly adherent to the Left4Dead model of cooperative gaming. The problem with copying Left4Dead is that Left4Dead is nigh-on perfect, an exquisitely refined cooperative shooter that is just the right blend of compelling and disposable. Vermintide wasn't even close to being that good. It was slow, it was dreary, and the most important feature in the entire game – the combat – was dreadful. The upside of being definitively mediocre, however, is there's plenty of room for improvement, and I'm pleased to say that's exactly what Fatshark has done with the sequel. Vermintide 2 fixes many of problems I had with the original, including the rubbish combat. That isn't to say it's a perfect follow-up – there are still some lingering flaws which I find rather frustrating. But it is now a competent and largely enjoyable imitator of Valve's multiplayer masterpiece. The premise remains unchanged from before. Four players assume the roles of different characters – choosing between a dwarven warrior, a human soldier, an elvish assassin, a fire mage, and a gun-toting Witch-Hunter – and must work their way through a sequence of linear fantasy landscapes. Standing between them and their objective is a literal horde of enemies which you'll need to slice and shoot your way through. But this isn't a straightforward hack 'n' slash. The enemies are controlled by an AI director which spawns and deploys enemies in different ways each time you play. It'll trigger hordes to rush and surround you, and also deploy specialised or extra powerful units to try to prise your group apart. 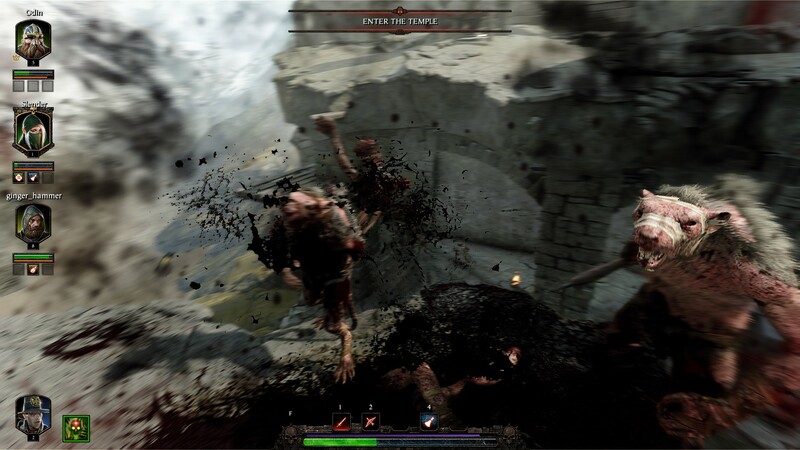 The main difference between Vermintide and Left4Dead was that the former focussed on melee combat. Ranged weapons do feature in Vermintide, but they're for tactical deployment rather than general reliance. When the swarms converge on your position, it's time to put away the crossbow, unsheathe your preferred lump of steel, and start separating rat-men from their various body-parts. Unfortunately, Vermintide's combat wasn't very good, with floaty movement and unsatisfying impacts. When your game is approximately 80 percent combat, this is a big problem. Thankfully, all that has changed with Vermintide 2. Swing a hammer or a mace and you can almost feel the impact of metal on bone shudder up your arm. There's a tangible distinction between blunt and bladed weapons, and even between individual equipment. Some weapons, like Falchions and Axes, are great for taking out single enemies quickly, while others such as Two-handed swords are better for sweeping crowds of enemies out of the way. I particularly enjoyed wielding Saltzpyre's flail, which is enormously satisfying to swing into a cluster of enemies and send them crunching to the ground. Combat is certainly the main improvement, but it isn't the only one. 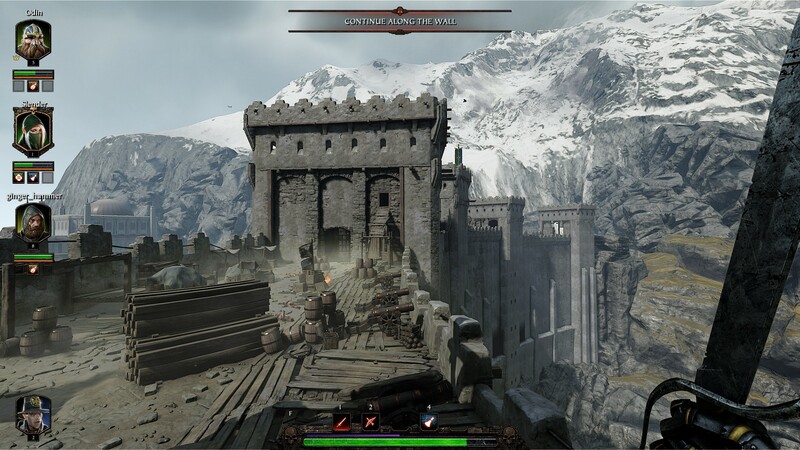 Vermintide's interpretation of the Warhammer universe was disappointingly drab, with most of its levels cloaked in grainy shadows and grimy textures. 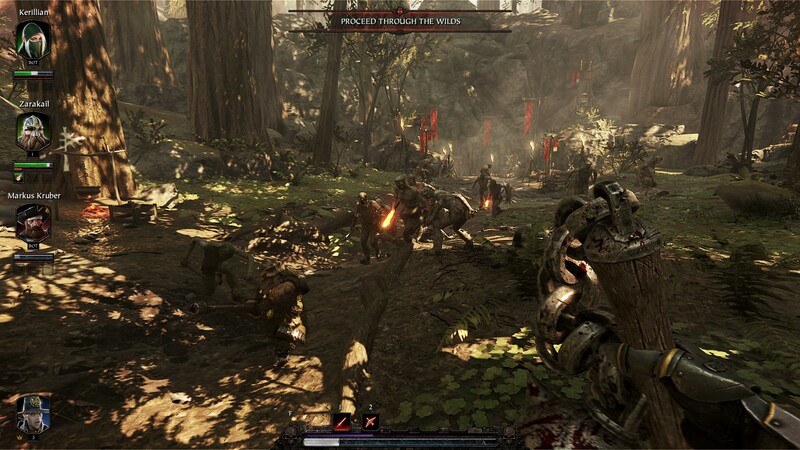 Vermintide 2, by comparison, revels in Warhammer's extravagance and diversity. The 13 missions take players from the fortified city of Helmgard out into verdant forests and rolling farmland. These missions are split into three 'Acts' that can be completed in any order to unlock the final mission. The Second Act in particular includes some excellent missions, such as the Screaming Bell, which sees your party work its way through a ramshackle fantasy town built on a steep hillside, at the summit of which is a colossal magical bell erected by the Skaven. The following mission is equally inventive, seeing players sneaking into a besieged fortress to defend it, before sallying forth to break the siege-lines established by the Skaven. 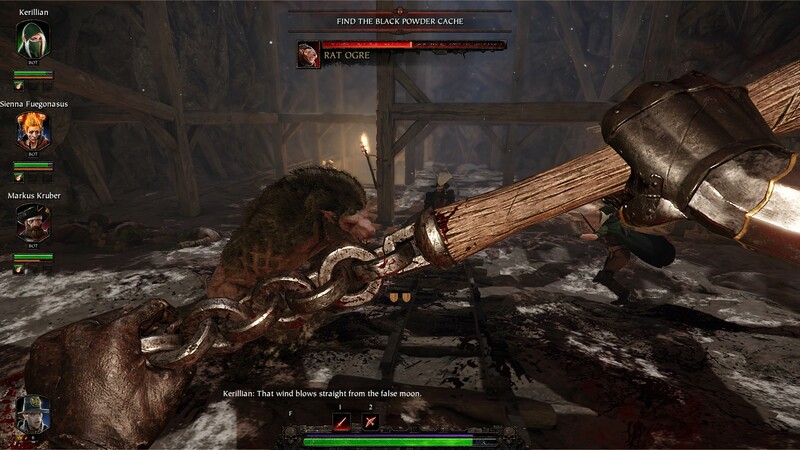 Fatshark has also expanded the RPG side of Vermintide, replacing the previous, rather enigmatic loot system with the more fashionable (and perhaps controversial) loot-boxes. Despite the issues currently surrounding the L-word, Vermintide's implementation is fairly innocuous. You get a crate each time you level up and another when you complete a mission, the quality of which depends on certain sub-objectives you completed in the mission. The result is a far more generous and rewarding system. Characters level up quickly, acquiring an impressive range of equipment within the first few missions. Later on, they gain the ability to change 'Careers', which provides them with different attributes and special powers. I spent most of my time with Vermintide 2 as the Witch-Hunter Saltzpyre. My arsenal included rapiers, pistols, axes, flails, broadswords, and a wonderfully ridiculous repeating-crossbow that's basically a standard crossbow with a chest-full of quarrels affixed to its top. At level 10 I unlocked the Bounty Hunter career, which provides Saltzpyre with more durable armour and a special pistol-shot that will stop almost anything in its tracks. With 13 missions and five characters to explore the nuances of, Vermintide 2 certainly has quantity on its side. This RPG flavouring comes at a cost, however. Success in Vermintide is as much down to your character's level as is your own skill. If you're starting from scratch with an entirely new party, be prepared for an absolute battering the first time around. Boss units like the Rat Ogre and the flame-spewing Stormblood are particularly nasty to fight at a low level, and the AI loves to combine these hulking opponents with a well-timed horde of Skaven or Rotblood barbarians (the new race of enemies included in the game). On its own, I don't mind this too much, although it can make the experience feel a bit of a grind. Indeed, the game is probably at its weakest when you're chipping health off one of those boss enemies, particularly the abysmal Bile Troll, which can regenerate health and splatter the area around it in corrosive vomit, a combination which makes it downright infuriating to fight. 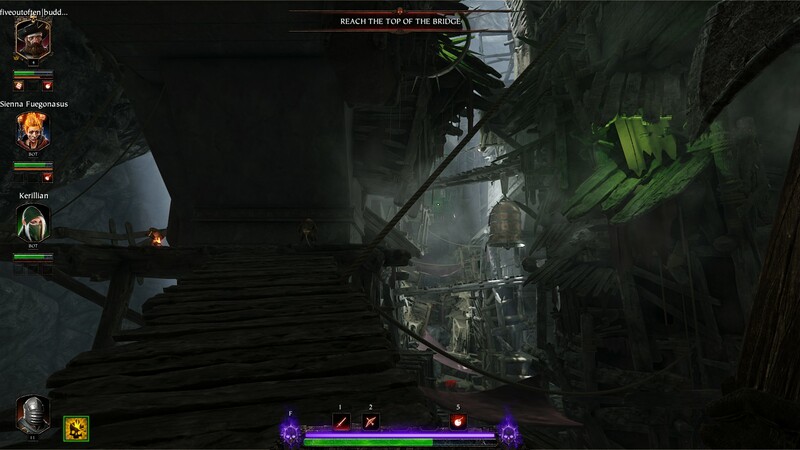 Where the RPG structure becomes a problem is in the length of Vermintide 2's missions. Each individual level takes roughly half an hour to complete, and unlike Left4Dead, there are no safehouses or other save points anywhere across that length. Hence you can potentially lose a huge amount of progress and have to restart the whole mission from the lobby. Dying in Left4Dead was often a hilarious experience, as you'd often come unstuck in ridiculous and amusing ways, and it didn't take too long to restore that progress. Dying in Vermintide 2, by comparison, can kill your desire to play the game in an instant. Finding time to play a game together with three friends isn't easy, so when you do it, the last thing you want to be doing is throwing yourself futilely against a levelling wall, especially one that can crumble completely when you're inches from the top. I can understand why some people might like Vermintide's RPG systems, but for me they serve mainly to slow what should be an immediate and action-driven experience down. 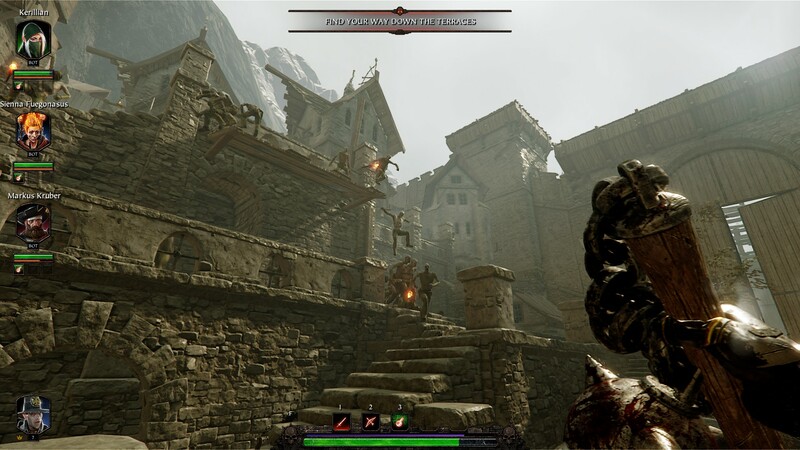 Yet while I think this damages the game, overall Vermintide 2 is a considerable improvement of Fatshark's work, and I've little hesitation recommending it as a way to pass some time with friends. Grimdark gameplay for four factions.